“Spoilers” ahead for Rogue One, although I’ll need an explanation on how the inclusion of a supporting character qualifies as a “spoiler”. When Final Fantasy: The Spirits Within was released in 2001, it caused some to speculate that digital actors might be the wave of the future. 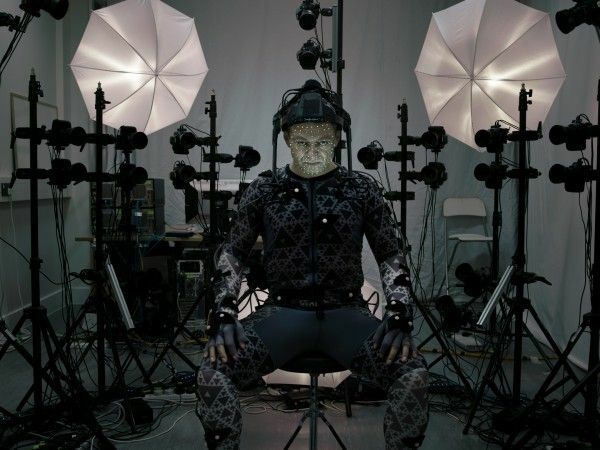 While the CGI characters were firmly in the uncanny valley, their mere existence seemed to signal that the coming of digital actors was simply a matter of “when” not “if.” However, as technology advanced and strides were made in the field of motion capture, CGI actors were re-evaluated. Instead of trying to create realistic humans, VFX studios turned their attention to using mo-cap for creatures and animals. No one could really climb out of the uncanny valley, and the closest anyone could come was digitally de-aging an actor, which still looked unconvincing at times. However, with the release of Rogue One: A Star Wars Story, we see that we’re not completely done with CGI humans, although perhaps we should be. The film digitally resurrects actor Peter Cushing to play Grand Moff Tarkin. Cushing died in 1994, but his estate gave the production approval to use his likeness to bring back the character for the new movie. It’s a terrible miscalculation on the part of director Gareth Edwards; an attempt to be respectful that seriously backfires and makes the character a constant distraction rather than a vital piece of the story. The thinking behind Tarkin’s inclusion seems to be that the character is inextricably tied to the Death Star, and that to remove him from a film based around the infamous space station would be distracting. Fans would be asking, “Where’s Tarkin?” and the script struggles to find a place for him. Rather than bring him in at the end (if he must be a part of the film at all) to replace Director Krennic, the movie positions Tarkin as a rival. While that does provide some illumination on Krennic’s career ambitions and what drives him as a character, the cost is far too great when digital Tarkin is so distracting. Part of the problem is that the technology just isn’t there yet. While we’re certainly further along than we were 15 years ago, you can’t put a CGI human next to a real actor and expect them to be indecipherable from one another. The flesh-and-blood actor always highlights the artificiality of his digital co-star. Even if I didn’t know that Peter Cushing had been dead for twenty-two years, my mind would still be seeing a CGI creation trying to pass for a real person. We’ll eventually reach the point where technology is so advanced that a CGI human can pass for the real thing, but nothing will get us past the other problem Rogue One presents: bringing back the dead. Acting is about choices, and the strength of a performance is credited to the actor who consciously chooses to act and react in unique and interesting ways. When Peter Cushing played Grand Moff Tarkin in the original Star Wars, he left an impression because he played the role so cool and aloof. His arrogance and cruelty provides the template for an Imperial officer and lets us know how the Empire views the galaxy. Darth Vader is part of the larger mythology, but Tarkin represents the cold practicality of how the Empire operates. When we see Tarkin in Rogue One, who is making those choices? Peter Cushing is the actor on screen, but it’s a mo-capped actor who’s giving the performance and VFX artists who are adding the details. This isn’t like when Andy Serkis gives a performance as Caesar in the Planet of the Apes movies. That’s his character from the ground up, and when you see the footage of him in his mo-cap suit, he’s undeniably doing the heavy lifting of building the character. The digital Grand Moff Tarkin is Peter Cushing without Peter Cushing. This raises the question: if you’re going to have an actor provide the mo-capped performance as Tarkin, why not just recast the role? Audiences are sophisticated enough to understand that roles sometimes need to be recast. People didn’t flee the Harry Potter series en masse when Michael Gambon replaced the late Richard Harris as Dumbledore. Was it really impossible to find a severe, elderly British actor to play Tarkin? 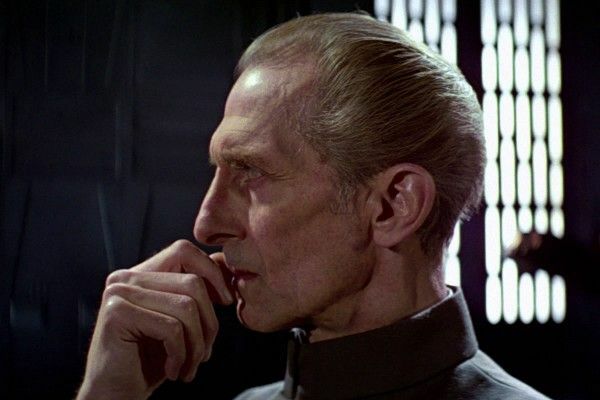 Did Edwards and Lucasfilm think the audience would be lost if someone who didn’t look exactly like Peter Cushing was introduced as Grand Moff Tarkin? Instead of just recasting the role and dodging the distraction, Rogue One creates a slippery slope where actors don’t die; they just get digitally inserted into new movies. It’s a move that caters to the worst OCD tendencies of fandom where any deviation is tantamount to a betrayal. And where does it end? Do we ever get to say goodbye to actors, or are they only an estate’s agreement and a VFX team away? And how important was their performance in the first place if it can simply be imitated by a mo-cap actor, a voice actor, and some animators? Digital resurrection doesn’t honor a late actor. It denigrates him.